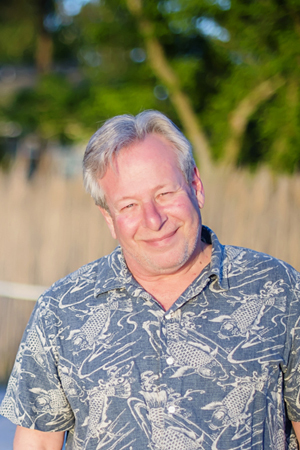 Born in New York and raised in Trumbull, Connecticut, Rick moved to Northern Virginia in 1977. He then spent the next 37 years achieving leadership roles in two major corporations with worldwide operations. When his wife, Linda, introduced him to the Outer Banks in the late ‘80s, Rick fell in love with the simpler lifestyle, the natural beauty, and the fishing. After that, the couple vacationed here almost yearly until, in 2013, when they fulfilled their dream of making the Outer Banks home. Rick and Linda now live in Colington Harbour. Along with being an avid surf fisher, Rick also enjoys playing blues guitar. Rick earned his North Carolina Real Estate license in 2014 and joined Village Realty in 2015. Known among colleagues for his unwavering commitment to clients, Rick thrives on helping others achieve their goals. Whether you’re buying or selling a home or investment property, he will work collaboratively with you throughout the process. MLS# 97146: $100K Price Improvement! MLS# 103747: Sound Front in the Village! MLS# 102551: 20 Weeks of OF Duck Heaven! MLS# 103092: Dbl Sound FrontLot! New Price! MLS# 102552: 5 Weeks of OF Duck Heaven! MLS# 102553: 5 Weeks of OF Duck Heaven! MLS# 102554: 5 Weeks of OF Duck Heaven! MLS# 102555: 5 Weeks of OF Duck Heaven!